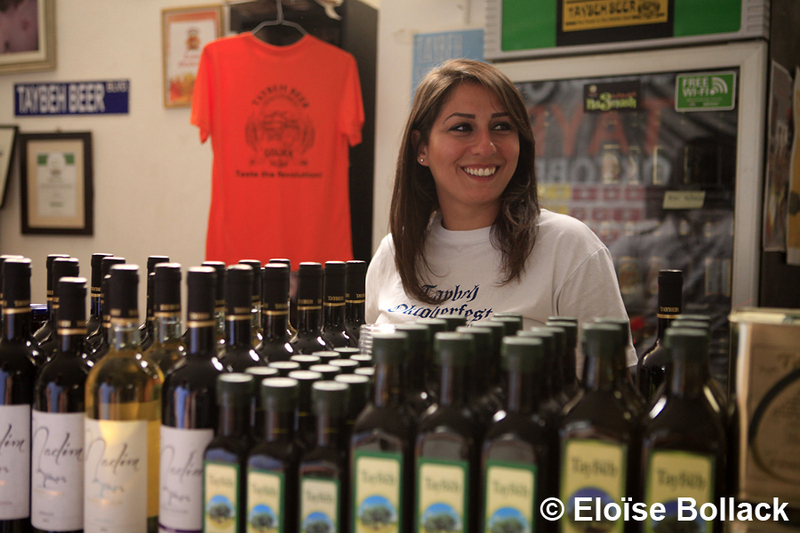 Innovation has become a tradition in the Khoury family from the West Bank town of Taybeh. 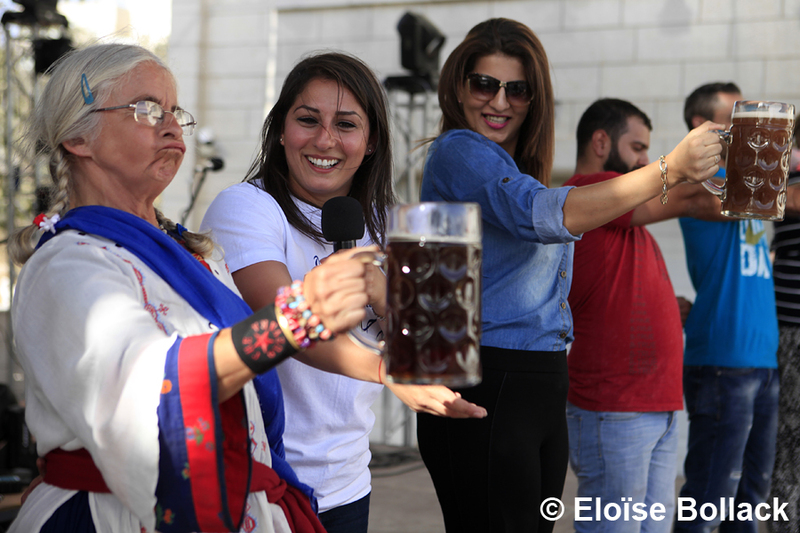 After opening the first microbrewery in the Middle East in 1994 and launching a local version of the well-known German Oktoberfest in 2005, the Khoury family now counts among them a new inspiring young businesswoman. 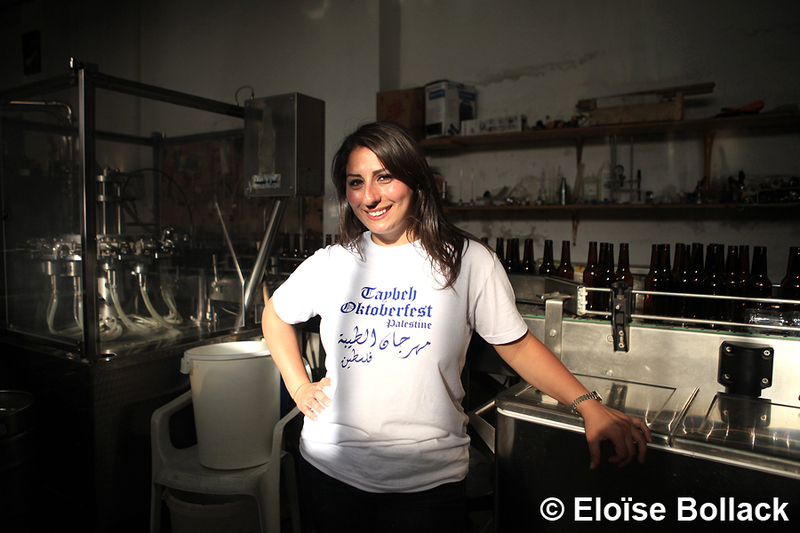 Madees Khoury, 31, the eldest daughter of Nadim, one of the founders of the Taybeh Brewing Company, is considered to be the first Palestinian female brewer in the Middle East. “I want to pursue my father’s dream. Since I was 10 years-old, I had been running around the brewery, watching my father and uncle working hard to establish this company. Growing up, I became more involved in the business every year, even when I was abroad,” Khoury told The Media Line. Khoury graduated with master’s degree in business administration in Boston, where she also interned at a local brewery. At 21, she bought a one-way ticket back home and she has been working in the family business ever since. 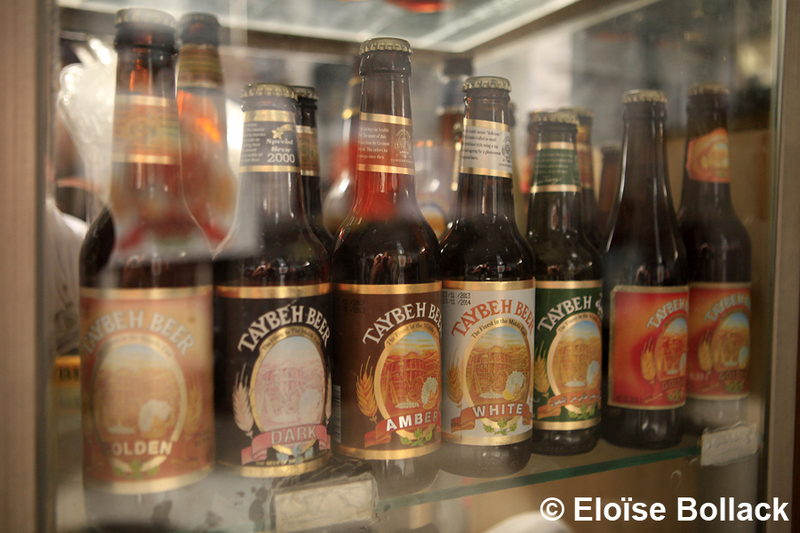 General manager of the Taybeh Brewing Company, the energetic woman is in charge of most of the day-to-day operations. You will find Khoury on the brewery floor actively brewing, controlling quality, giving tours, dealing with customers or supervising exports, as well as organizing events. 'I enjoy every part of the job; it is interesting, enriching, and actually much fun. Of course, brewing is exhausting, but there is great satisfaction when I go out and see people enjoying our beers. I feel really proud to tell them that I made the beers they are drinking,' she said. 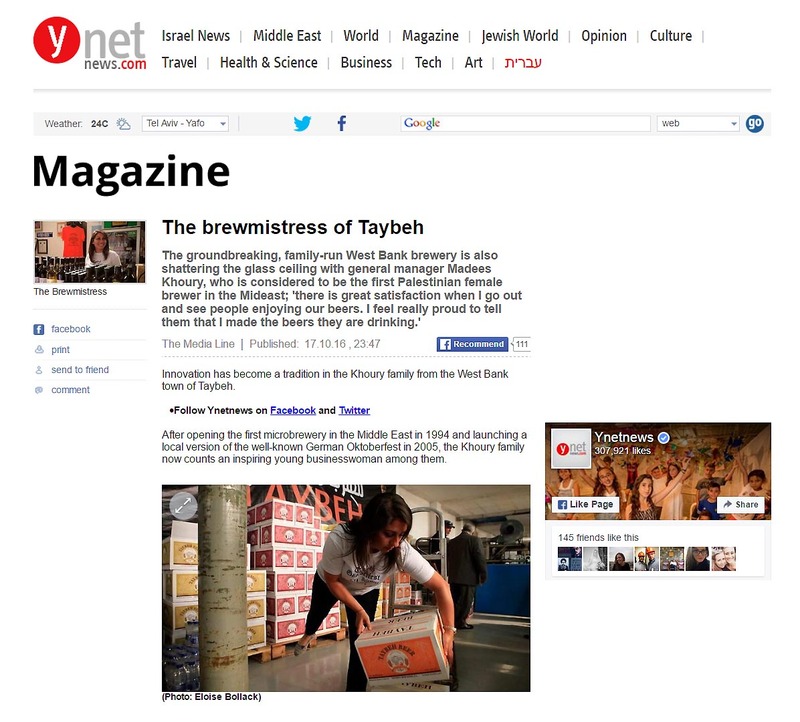 Khoury revealed that Taybeh’s Amber flavor is her personal touch to the company. “When I came back in 2007, my father was producing only the Golden and the Dark versions. I wanted to produce a very different product; so we worked on it together. It took us a long time experimenting, to get the exact flavor I had in mind. 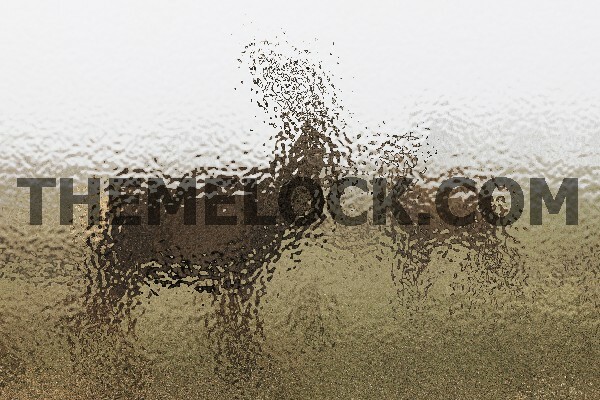 But eventually we made it, and it seems the customers are happy with the result,” she added. When asked what are the challenges she faces, Khoury explained that the challenging part is not as much as the brewing process – even if tiring – but mostly related to customer services.